New York (June 25, 2012) - Bensidoun USA, the world’s premiere operator of authentic French open-air markets, will open its first market in New York City on Friday, June 29 in the Chelsea Triangle at 9th Avenue between 14th and 15th Streets. The market will be open Fridays and Saturdays from 10 a.m. – 3 p.m. through November 24. 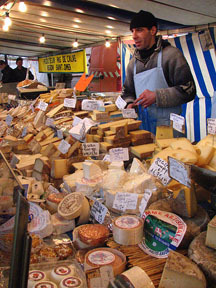 The Chelsea Triangle French Market is the latest addition to the long list of European-style markets operated by Bensidoun USA that attract thousands of loyal weekly visitors. US markets currently in operation include 14 outdoor markets in Illinois plus one indoor market in Chicago, one outdoor market in Michigan and three in the New York area. The market is being launched in partnership with the Chelsea Improvement Company, which co-created the plaza in 2007 and has managed it ever since. 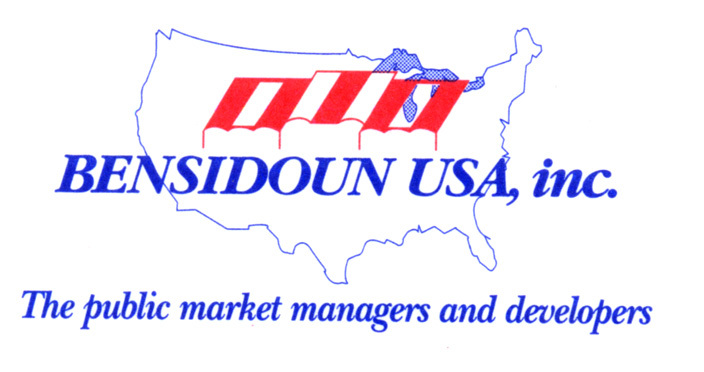 Bensidoun USA operates both large and small markets—each being unique to meet the needs of the community it’s in. 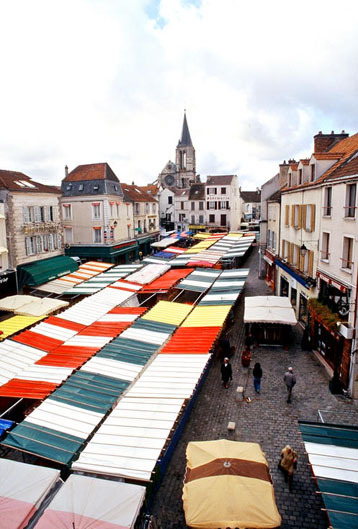 Public markets are synonymous with French culture and style, as expressed through the sale of fresh, locally grown produce, seasonal flowers, boutique clothing and jewelry and original arts and crafts. In keeping with this tradition, the Chelsea Triangle French Market will house booths that showcase and sell fresh and locally grown produce, artisanal baked goods and cheeses, grass fed meats, and other organic specialties. “We are extremely pleased to partner with the Bensidoun family to create a new open-air market experience for Chelsea residents and all New Yorkers to enjoy,” said Dan Biederman, president of the Chelsea Improvement Company. Bensidoun French Markets guarantee its visitors the experience of the finest in local produce, delicacies from well-known area restaurants, freshly baked breads and pastries from artisan bakeries, and seasonal spreads from local orchards. Visitors will also enjoy one-of-a-kind crafts to enhance home décor and unique jewelry from emerging designers. *For those interested in being a part of the Chelsea Triangle French Market as a vendor, please contact Johanna Safar at jsafar@bensidounmarketsny.com or Jody Milano at (917) 406-7477. The Chelsea Improvement Company (CIC) is a nonprofit neighborhood redevelopment corporation that seeks to improve the day-to-day lives of the people who live, work, and visit southwest Chelsea. CIC supplements services provided by city government – like sanitation and security programs – and has made major improvements to the neighborhood streetscape, including elaborate plantings and lighting. 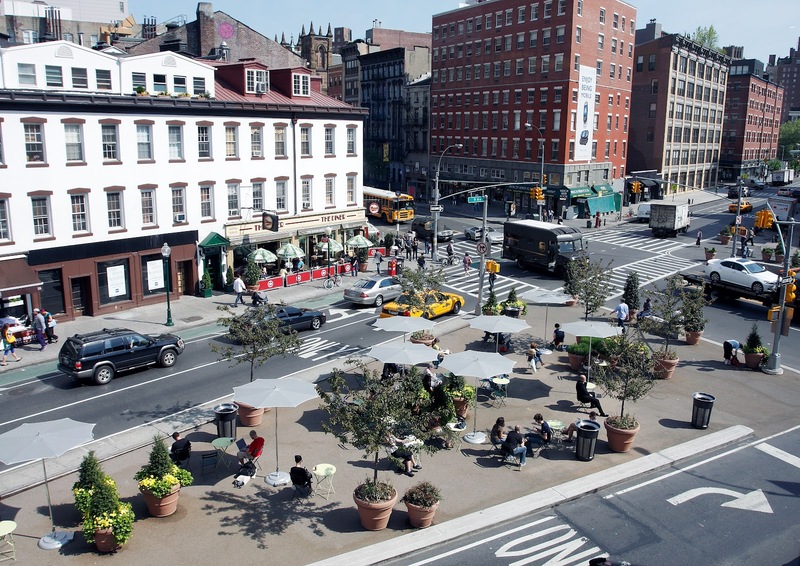 It also runs two public spaces in the neighborhood, at Ninth and Tenth Avenues. More information is at: http://www.chelseaimprovement.com. Francesca’s on Chestnut (200 E. Chestnut St., Chicago, IL 60611; 312-482-8800) is now serving brunch Saturday and Sunday from 11 a.m. to 3 p.m. The new brunch menu will offer some of Francesca’s favorites like the Pollo a Uova, Chrispy chicken confit & bacon hash with two eggs any style ($11.99), Sweet Pancakes, Blueberry, ricotta pancakes with blueberry-lemon compote ($10) and Baked Uova Florentina, Soft Baked Egg, fontina cheese, creamed spinach, white truffle oil and ciabatta toast ($10.99). Also available are delicious brunch cocktails including the Bloody Mary, Peach Belini and Mimosa. Francesca's Vicinato is celebrating picnic dining by hosting an upscale picnic wine dinner featuring five-courses with four wine pairings. The delicious dinner will showcase a menu by Francesca's Chef de Cuisine Mario Lopez and welcome guest, Francesca's Wine Sommelier, Lisa Mango. The dinner costs $50 per person excluding tax and gratuity and reservations are required. The dinner starts with Stuzzichino di Capesanta, Seared jumbo sea scallop Lolli-Pop wrapped with pancetta, pickled tropical fruit, and grapefruit sauce paired with a White Haven Sauvignon Blanc. The second course will be Insalata della Fantasia, Arugula frisee, fresh pear, toasted walnuts, gorgonzola dolce and champagne vinaigrette paired with William Fevre Champs Royaux Chablis. The next course features Cannelloni alla Piemontese , Fresh pasta stuffed with braised beef, carrots, celery, onion, topped with tomato basil and parmesan cream sauce which will be served with a Monsanto Chianti Classico Riserva. Next will be Vitello alla Milanese, Pounded breaded veal tenderloin, arugula salad, brown butter sage, aged balsamic paired with Heitz Cellar Cabernet Sauvignon. Finally the dessert course will feature Trio di Biscotti e Frutta, an assortment of fruit biscotti served with Cafe. Westfield Old Orchard continues to bring to its patrons a valued shopping experience through its selection of luxury and specialty retailers. To enhance that experience this summer and fall, a slew of new retailers will be opening, as well moving locations within the center. Rolex will be opening a boutique operated by the 3,500 square foot C.D. Peacock located next to Tiffany & Co near Nordstrom. The world renowned timepiece crafter and the Chicago-based jeweler will have its grand opening this fall. eCosway will be setting up a new location at Westfield Old Orchard this summer. The new retailer specializes in health, beauty and nutrition products and will be located near Champps Americana. Hugo Boss will be one of Westfield Old Orchards newest luxury retailers just in time for the holidays. The men’s and women’s designer, known for its sleek and stylish collections worldwide, will be opening in part of the old Akira space near Nordstrom. Specialty women’s clothing store, Ann Taylor is currently closed for renovations and will re-open in September. Coach will close at the end of June for remodeling. The designer handbag retailer will re-open before the end of July. J. Crew will close at the end of July for remodeling but won’t be gone long! The men’s and women’s shop known especially for its classic and sophisticated silhouettes will re-open at the beginning of August. Chicago-based women’s specialty store, Akira will open in its new location on the North end of the shopping center this July next to Cheesecake Factory and Ann Taylor Loft. It will be open in its current location until the move. Fleming’s Prime Steakhouse & Wine Bar (25 E. Ohio Street, 312-329-9463) will host the Duckhorn Wine Dinner 6:30 p.m. Friday, June 29 showcasing wines from Duckhorn Vineyard in Napa Valley. The dinner will feature a delightful four- course menu created by Fleming’s own Chef Partner, Jerl Griffin. Special guest Judith Britt from Duckhorn Vineyards will be speaking and serve as the tasting guide. The cost is $99 per person, excluding tax and gratuity. Please call 312-329-9463 for reservations as space is limited. The dinner will commence with a reception where guests will enjoy a glass of DECOY, Sauvignon Blanc Sonoma County, 2011. The first course will feature Duck Satay and Microgreens with Spicy Thai Vinaigrette paired with MIGRATION, Pinot Noir Anderson Valley, 2009. For the second course Sliced Pork Tenderloin will be served with crispy shiitake risotto and paired with PARADUXX, Z Blend Napa Valley, 2009. Next will be a 9-oz. Prime Ribeye with port shallot butter, forestière vegetables and Yukon Gold smashed potatoes which will be served with DUCKHORN, Cabernet Sauvignon Napa Valley, 2009. Finally, the dessert course will offer Decadent Chocolate Mousse Cake with an Oreo crumble crust. It will surely be a feast to remember. Co-founded by Dan and Margaret Duckhorn in 1976, Duckhorn Vineyards has spent more than 30 years establishing itself as one of North America's premier producers of Bordeaux varietal wines. From its modest inaugural vintage of 800 cases of Cabernet Sauvignon and 800 cases of Merlot in 1978, to its addition of Sauvignon Blanc in 1982, Duckhorn Vineyards has crafted a tradition of quality and excellence that continues today. The winery's seven estate vineyards are located in alluvial fans of the Napa Valley as well as on the coveted slopes of Howell Mountain. 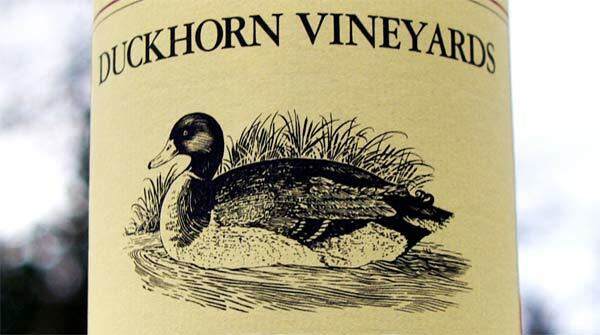 Learn more about Duckhorn Winery at http://www.duckhorn.com. Francesca’s Fiore will host a five-course dinner with beer pairing by Two Brothers Brewing Company. Guests also will enjoy a guest speaker from Two Brothers Brewing Company. The cost is $52 per person, tax and gratuity is not included. Reservations are required. The meal starts with Grilled Oysters, with Spinach Garlic herb butter with beer pairing Prairie Path. The next course will be Asparagus Milanese, Breaded asparagus topped with arugula tomato and red onion finished with lemon and olive oil paired with Resistance. The third course features Roasted Eggplant Formaggi, Thick sliced eggplant roasted and topped with a blend of Italian cheeses paired with Domaine Dupage. The next course offers Grilled Pork Tenderloin, with Wild mushrooms and Red wine rosemary demi with beer pairing Cane & Ebel. The final course features Fresh Peaches Poached in Amaretto, with Vanilla Gelato and Fried Pasta paired with Ebel Weiss. Chicago French Market (131 N Clinton, 312-575-0306) once again is proud to be a selected 2012 performance site for this year’s Make Music Chicago, a 24-hour musical holiday celebrated in over 110 countries and 460 cities around the world. From 1 p.m. – 3.p.m. Thursday, June 21, the musical merriment will commence as amateur and professional musicians showcase their talents at the market. Make Music Chicago is inspired by France’s “Fête de la Musique,” a national musical holiday encouraging musicians of all calibers to perform in the streets and allow patrons to enjoy different musical cultures from around the world. Originating in Paris as an all-night celebration, this year’s festival will mark 30 years of musical appreciation for all genres across the board. Come and participate in the festival that will be heard throughout countries around the world including Germany, Italy, Egypt, Syria, Morocco, Australia, Vietnam, Congo, Cameroon, Fiji, Colombia, Chile, Nepal, and Japan. 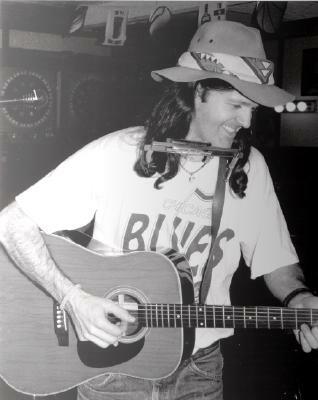 The event is complimentary for both musicians and audiences. It’s that time of year again to appreciate dad and all he’s done with a Father’s Day celebration. Some of the hottest restaurants in Chicago are on hand to assist you in all your celebration needs; from delicious dining experiences to shopping giveaways. Read on the see what’s happening in Chicago this Father’s Day. Elate (111 W. Huron St., Chicago, IL 60654; 312-202-9900) is serving a brunch special this Father’s Day. Bring dad to enjoy the Land and Sea Benedict, Braised hanger steak, butter poached lobster, fava bean puree and Meyer lemon hollandaise for $17. In additional to the newly created dish for Father’s Day, dad can enjoy one of the other seasonal options for brunch or dinner including new small plate options such as Rushing Water Trout with housemade fettucine, fava beans, corn pudding and roasted red pepper and the Lamb Merguez Meatballs with tomato, fennel, cerignola olives, feta, and house made naan. Also available are an array of delicious cocktails including the Smoking Gun with Johnny Walker Red blended scotch whiskey, cherry heering, sweet vermouth and fresh orange juice, the Dark & Stormy made with Goslings Dark rum, fresh lime juice, rosemary-brown sugar syrup and ginger beer, the Bourbon Sour with Buffalo Trace bourbon, fresh lemon, simple syrup egg white and bitters. Fleming’s Prime Steakhouse and Wine Bar (25 E. Ohio St., Chicago, IL 60611; 312-329-9463 and 960 Milwaukee Ave., Lincolnshire, IL 60069; 847-793-0333) will be celebrating Father’s Day with special brunch and dinner hours, Sunday, June 17. Opening early at 11:30 a.m. to 3 p.m., Fleming’s welcomes you to bring the family and enjoy a three course brunch menu for $34.95 excluding tax and gratuity. An extensive choice of appetizers, entrees and desserts will be available for brunch and include starter options like The Wedge, with iceberg lettuce, grape tomatoes, red onions and crumbled blue cheese, or a Fresh Fruit Medley of berries, melon, pineapple, sour cream and honey sauce. 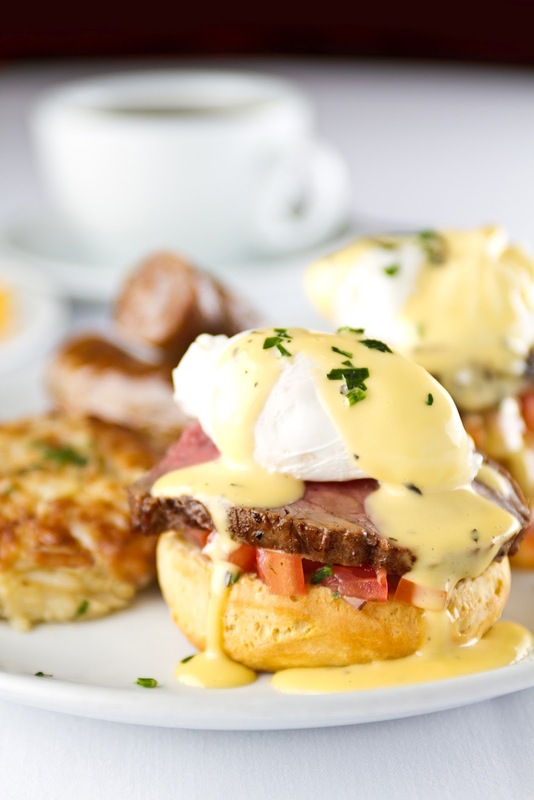 Entrée options include Filet Mignon Benedict with sliced filet mignon and egg on an English muffin with herb béarnaise sauce and tomato concassé and New Orleans-Style French Toast. Dessert choices include Chocolate Bread Pudding with bourbon crème anglaise and Walnut Turtle Pie, with house made caramel, walnuts and chocolate in a chocolate pie crust. Fleming’s also will be offering its Blood Orange Mimosa, a festive and refreshing sparkler with Solerno Blood Orange Liqueur, Mionetto Prosecco and freshly squeezed orange juice for $7.95. A children’s brunch menu is available for $16.95, excluding tax and gratuity, for children 12 and under and Fleming’s full menu also will be available throughout the day and evening. Dad will receive a $25 Dining Card for dining on his special day; a wonderful gift for him to come back during his next night out on the town. Reservations are strongly recommended. Call your preferred Fleming’s location or make reservations online at www.flemingssteakhouse.com. Maxwell’s at the Club (200 N. Kingsbury St., Chicago, IL 60610; 312-527-5800) will offer its annual Father’s Day brunch from 10 a.m. – 2 p.m., Sunday, June 17. The brunch buffet will include delicious options like Chilled Shrimp Cocktail, Chilled Poached and Roasted Salmon, Green Bean and Tuna Salad, Wilted Kale and Farro Salad, Quinoa Salad with Berries and Watermelon, French Toast with Sautéed Peaches, Spinach, Bacon and Cheddar Egg Cups, Mesclun Green Salad with Mandarin Oranges, Dried Cranberries and Pecans, Seasonal Fresh Fruit and Berries, Chicken and Apple Sausage, and Four Cheese Ravioli. In addition to the lavish buffet complete with waffles, omelets, pastries and a dessert bar, chefs will carve prime rib and roasted turkey breast to order. Come enjoy brunch and celebrate Father’s Day at Maxwell’s for $45. Children’s brunch is available for $15 for children 10 and under. 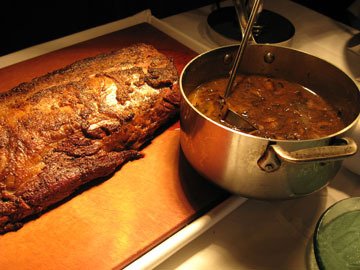 For reservations, call (312) 527-5800, extension 301, or visit www.maxwellsattheclub.com. Prairie Grass Cafe (601 Skokie Blvd., Northbrook, IL 60062; 847-205-4433) will be serving up a delicious spread for its annual Father’s Day brunch. Come and enjoy delightful options for only $42, excluding tax, gratuity and beverages, 9:30 a.m. – 2 p.m. Sunday, June 17. A children’s menu also will be available for children 10 and under. Brunch will include new options including New York Strip, with “River Valley Ranch” mushroom sauce, Potato Gratin, Guajillo Pepper Chicken over Rice with Avocado Pico de Gallo, Penne Pasta tossed in Bill Kurtis’ “Tallgrass Beef” Basil-Tomato-Meat Sauce with Parmesan and Bread Crumb Topping. An omelet station also will be available with all the fixings such as peppers, mushrooms, onions, tomatoes, cheddar cheese, ham and spinach. Additional buffet items include Grilled tomato with crumbled bacon, blue cheese topping, chives and chopped basil, Asian style sliced albacore tuna, Smoked Salmon Spread with mini bagels, Chopped vegetable salad of julienned carrots, cabbage, celery, cucumber, avocado and bok choy tossed in sherry & dijon vinaigrette, Grilled vegetable platter with basil remoulade and balsamic reduction and Marinated cucumber, spring onion, banana pepper salad with buttermilk dressing and garnished with pea shoots. An artisan bread station and crêpe station round off Prairie Grass Cafe’s delicious Father’s Day brunch buffet. Prairie Grass’ regular dinner menu will be available 5 p.m. -9 p.m. For more information on the Father’s Day brunch, visit www.prairiegrasscafe.com. Fleming’s Prime Steakhouse & Wine Bar (25 E. Ohio St., Chicago, 312-329-9463 and Lincolnshire, 960 Milwaukee Ave., Lincolnshire, 847-793-0333) introduces its new Bar la Carte Menu featuring five generously portioned meals served exclusively at Fleming’s bar. With the introduction of new the menu items, Fleming’s Director of Wine, Maeve Pesquera, has offered her recommendations for the perfect pairings with Fleming’s 100™ and other available cocktails. 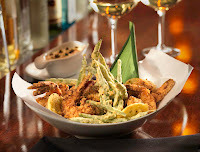 The new Salt and Pepper Shrimp is served with crispy fried green beans, thin slices of lemon, and a caper-mustard dipping sauce. 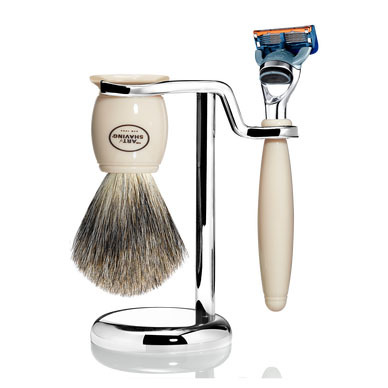 Pesquera recommends pairing it with a glass of Schramsberg Blanc de Blancs. "Another great option would be pairing with a cold bottle of Stella or a Mad Margarita from Fleming’s Couture Cocktails menu." A more hearty option from the menu would be the Prime Steakhouse Meatballs in a spicy peppercorn sauce with shitake mushrooms. “For this wine pairing, I’m going a little unconventional,” says Pesquera. “Parducci True Grit Petite Sirah is a terrific red that is bold enough to complement and contrast with the mushroom and peppercorn spice perfectly.” Also great for pairing with this menu option would be a Sam Adams or Fleming’s classic Vintage Vodka Martini. 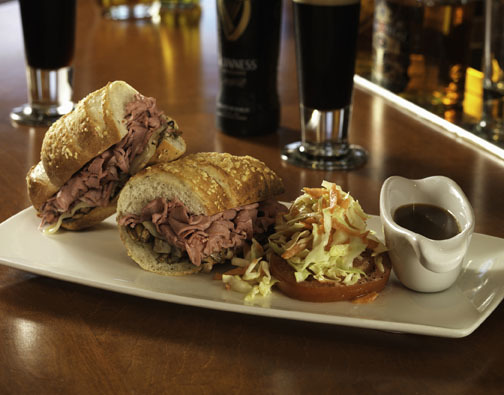 Fleming’s Original Prime Rib Melt is slow roasted prime rib stacked on a toasted parmesan baguette with Swiss cheese, sautéed mushrooms, whole-grain mustard, horseradish slaw, and au jus for dipping. “It takes a big wine, a big beer or a strong cocktail to stand up to the depth and richness of this sandwich,” says Pesquera. She suggests pairing it with Pascual Toso Malbec. “With solid fruit up front, rustic edges and stout structure, this wine cuts through and balances the rich marbling of the beef.” Other options would be Guinness Stout or an Old-Fashioned from Fleming’s Retro Chic Cocktail menu. 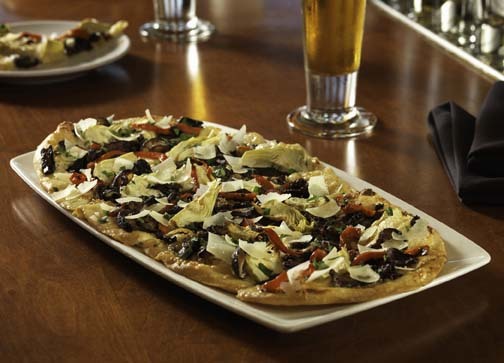 Pesquera recommends a few wine pairings with the Filet Mignon Flatbread, which is topped with Danish Blue and Monterey jack cheeses, and red onion confit: the Langmeil Three Gardens from Australia and the Seghesio Sonoma Zinfandel. “Both can handle the texture of the filet and balance the flavors of the red onion and blue cheese.” For a mixed drink option, she recommends pairing the classic Manhattan from the Fleming’s Retro Cocktail menu. Jeans and rock star hair required! Francesca's Intimo is paying homage to the rock and roll era as they host the Rock & Roll Napa Patio Party. A five course dinner will be served with four wine pairings from Stag's Leap Winery. Guests also will enjoy guest speaker, Kelley Joerns from Chateau St. Michelle Winery. The cost is $52 per person excluding tax and gratuity. Reservations are required. The meal begins with Citrus Cured Salmon, with whipped lardo, arugula, lemon, and Tuscan bread paired with Stag's Leap Sauvignon Blanc. The next course will be Heirloom tomatoes and watermelon salad, with red onion, basil, white balsamic, and grated ricotta salata paired with Antica Chardonnay. The third course will feature Garlic and Rosemary roasted Leg of Lamb, figs, cipolini onions, and creamy herbed polenta and will be paired with Stag's Leap "Hand's of Time". The next course will offer Peppercorn spiced loin of beef , with bacon braised collard greens and Tuscan Beans, served with Stag's Leap "Fay". There will also be a light dessert course of stewed summer stone fruit with Armagnac and hazelnut gelato served with coffee. Fleming’s Prime Steakhouse & Wine Bar (25 E. Ohio St., Chicago, 312-329-9463 and Lincolnshire, 960 Milwaukee Ave., Lincolnshire, 847-793-0333) continues to set the standard in steakhouse dining with the introduction of its new Bar la Carte Menu. Served exclusively in the bar, the menu offers Fleming’s guests six all-new satisfying dishes available any time, any evening. More substantial than appetizers or the typical “bar bites” found at many restaurants, the addition of this Bar la Carte menu makes Fleming’s bar as much a destination for food as it is for wine and cocktails. Each dish had to pair well with both wine as well as a variety of cocktails and beer, and be easily sharable. After a full year of testing and tasting six new items were selected. The new Bar la Carte menu includes: Salt and Pepper Shrimp served with crispy fried green beans, thin slices of lemon, and a caper-mustard dipping sauce; Prime Steakhouse Meatballs in a spicy peppercorn sauce with shitake mushrooms; Fleming’s Original Prime Rib Melt is slow roasted prime rib stacked on a toasted parmesan baguette with Swiss cheese, sautéed mushrooms, whole-grain mustard, horseradish slaw, and au jus for dipping; Filet Mignon Flatbread is topped with Danish Blue and Monterey jack cheeses, and red onion confit; Cedar-Roasted Mushroom & Artichoke Flatbread has Monterey jack cheese, roasted Christopher Ranch garlic, and roasted red peppers; and Fleming’s Housemade Burrata is served with charred cherry tomatoes, fresh wild arugula, and toasted garlic crostinis. “Our goal remains as always, to offer an exceptional dining experience, whether it’s in the dining room or in the Fleming’s bar, says Skall. Francesca’s al Lago will play host to the Magic Hat Brewing Company Beer Dinner, a decadent five-course dinner created by Chef di Cuisine Sergio Lopez, with beer accompaniments. Tickets are $50 per person excluding tax and gratuity. Reservations are required. The meal starts with Insalata Rucola e Salsa di Limone, with Baby spinach & arugula, blood oranges, candied spicy pecans tossed with light citrus champagne vinaigrette and talleggio cheese; this pairs nicely with Circus Boy (Hefeweizen). Next will be Capesante con Pancetta e Finocchio, a Pan seared jumbo scallop topped with apple and bacon-brandy compote on a bed of shaved fennel paired with Blind Faith (India Pale Ale). The third course features Cappellacci di Carne e Funghi, Braised beef filled cappellacci in a mushrooms-bacon ragu topped with Parmigiano-Reggiano cheese paired with Magic Hat (“Not Quite Pale Ale”). Next comes Filetto di Maiale con Salsa di Mirtilli e Polenta , Almond crusted pork tenderloin in a cranberry-port wine reduction sauce served with mascarpone cheese polenta cake with beer pairing, Over the Pils (Imperial Pilsner). Finally the dessert course will feature Crostata di Limone con Panna Montata, a Tart filled with lemon curd topped with blue berries and whipped cream paired with Elder Betty (Hefeweizen). Francesca’s Passaggio will be firing up the grill at 6:30 p.m. Tuesday, June 12 for a cooking class demonstrating some of “Francesca’s Favorites.” This is your chance to learn the secrets to some of Francesca’s best and most popular recipes. A Francesca’s chef will take you through a five course meal from appetizer to dessert and show you how to re-create each dish at home. 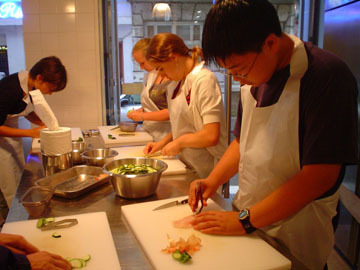 The class costs $50 per person not including tax or gratuity. Registration is required. The appetizer course will be Bruschette alla Romana, followed by Insalata Asparagi. Next, students will learn to execute a pasta course of Linguine con Mare e Monti. The entree course will be Pollo Arrosto alla Romana, followed by a dessert of Frutta di Sottobosco al Mascarpone. 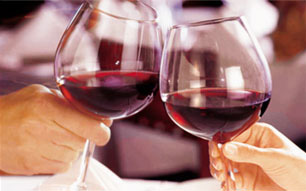 Pastoral Artisan Cheese, Bread and Wine will be hosting its monthly wine tasting held the first Thursday of the month. Come and enjoy a tasting of several varieties of artisan wines. 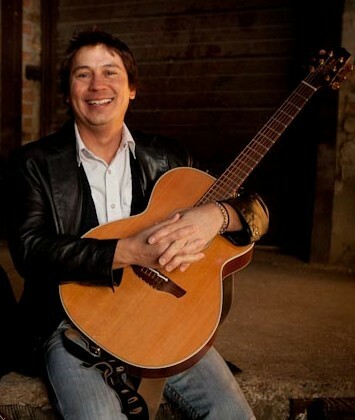 Chicago musician Matt Cantlon has been playing guitar and singing for over 20 years. The Chicago French Market is pleased to have him perform a lunch hour concert featuring a selection of classics, rock, country and pop songs for your enjoyment. Come and enjoy the musical talents throughout the day at Make Music Chicago. The festival is complimentary for both musicians and audiences. Coventry Jones is a Bob Dylan-inspired singer/songwriter from Milwaukee, WI. Coventry combines critically acclaimed vocals with style ranging from Folk, Celtic and Blues. Come and enjoy his complimentary concert before your commute home. 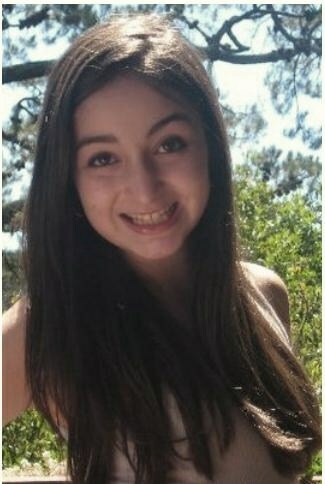 Thirteen year old Gabrielle Browdy will be performing a complimentary concert at The Chicago French Market. While she may be young, Gabrielle is an accomplished and talented musician who has accomplished the art of singing a variety of styles. This is a great way to spend your lunch hour with friends and co-workers. 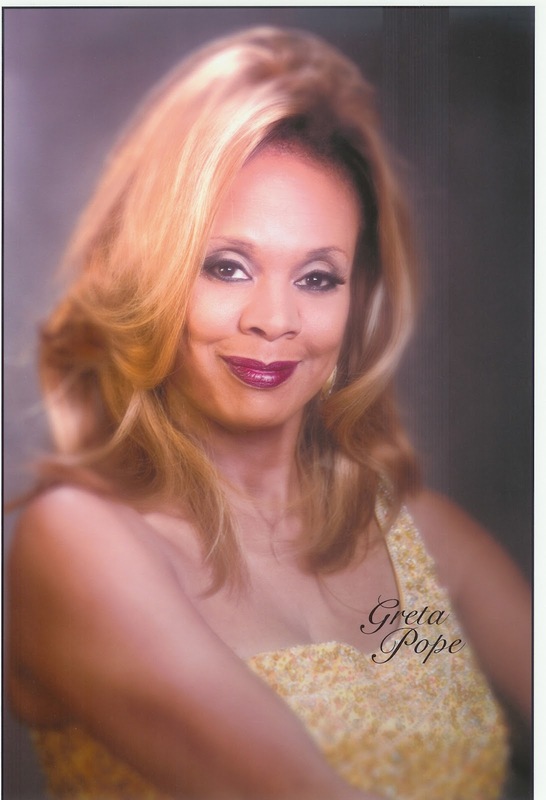 Come and enjoy the great Greta Pope for a Bastille Day celebration at Chicago French Market. Cabaret and champagne will be the perfect way to spend your Saturday afternoon. City Fresh Market is now featuring Harczak’s Smoked Sausages (Best European Sausages). Choose from Serbian Mild, Serbian Hot or Bosnian All Beef sausages. Feel free to ask for a sample before you buy and you’ll see right away why it’s called “The Best”. City Fresh Market wants to make your summer grilling easy! Check out its freshly made hamburgers & kabobs. Also available is its fresh fish delivered daily, cleaned, filleted or butterflied at your request at no charge! This month, City Fresh will featuring FAGE Yogurts, all flavors are only $1.99/each. 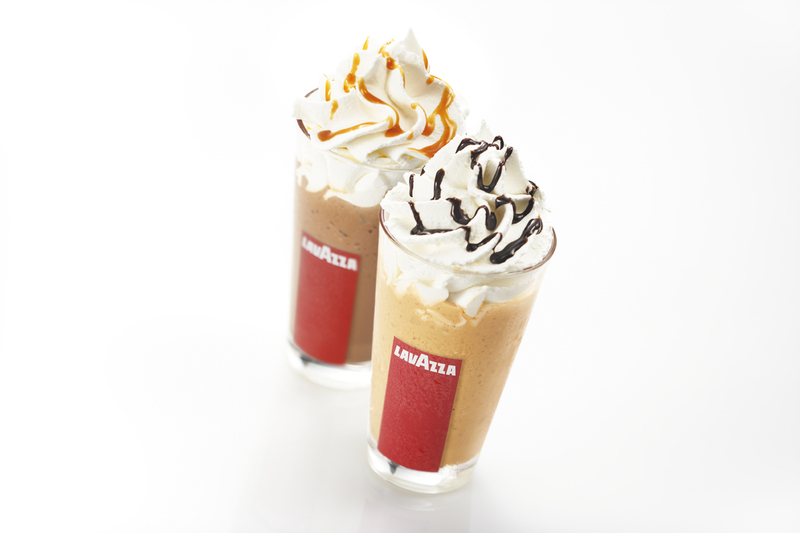 Cool off this June with Lavazza Espression’s featured drink: The Blendissimo®! A unique coffee-based frappé that will seduce your palate with a cool blend of espresso, vanilla gelato and caramel, topped off with whipped cream. Available in four delectable combinations: Mocha, Hazelnut Mocha, Orange Mocha, and Caramel. Lavazza Espression is also proud to be an international finalist in the Latté Art Competition at the Coffee Fest Chicago on Friday June 8 – 10. Bobby Mariappuram will represent Lavazza Espression and is among 64 contestants chosen to compete head to head to produce one flawless drink to present to judges. Judging is based on aesthetic beauty, definition, color infusion, degree of difficulty and creativity, and speed. Oh, Olive! is celebrating Father’s Day and grilling season by offering a special on its locally grown spices, rubs and salts from the Galena Garlic Company. 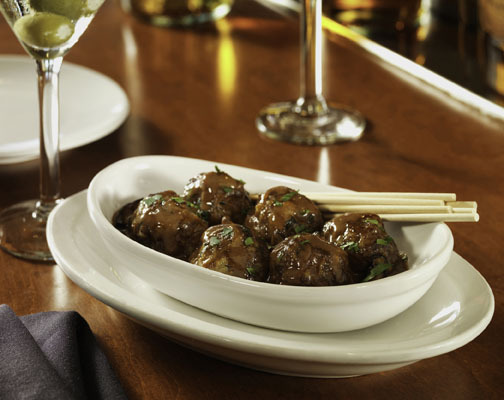 Galena Garlic Company showcases gourmet garlic’s versatility in the kitchen. For owner Laszlo Marton, “Garlic is Life.” He is involved in every step of the process, including the planting of more than 20,000 cloves by hand on two plots of land nestled in the rolling hills of Jo Daviess County in northern Illinois, an ideal location for garlic farming. Its cold winters, warm summers and rich fertile soils, in combination with the Galena Garlic Company’s organic farming practices, produce a thriving crop of garlic year after year. The Oh, Olive! team believes these products should always be fresh and foolproof, so premium spice blends are created in small batches with every package hand-sealed. Oh Olive! is one of only a few retailers where you can purchase these crafted spices, rubs and salts. Choose from a wide variety at the Chicago French Market and for the month of June, purchase 5 packets for only $30. Learn more at www.oo2go.com. With so many great outdoor options for enjoying summer in Chicago, Pastoral came up with a great way to enjoy them even more! Pastoral Artisan Cheese, Bread & Wine is now offering Pastoral Picnics for Two, a picnic basket to-go option that comes complete with everything you need to enjoy a summer outing. 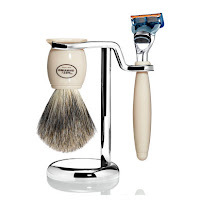 Whether it’s just for two or a group, Pastoral has you covered. Choose from one of five baskets for only $39.99, and don’t forget the wine and craft beers to complement your picnic. To order, call Pastoral at (312) 454-2200 at least 6 hours in advance. Vanille Patisserie has just added new items to its menu! Delight in the new Fraisier, a Banana cake with Vanille mousseline, Passion fruit curd and fresh strawberries with red glaze. Try the new Graham, with Graham cracker streusel, homemade marshmallow, chocolate fudge ganache and graham cracker financier with Dark glaze. Or give the Paris Brest a try, with Pâte á choux, praline mousseline and candied hazelnuts. For more information on these new and delectable items, call (312) 575-9963. Two Brothers Brewing Co. celebrates 15 years with Francesca’s Forno. Come celebrate its anniversary by enjoying a four- course beer dinner with featured guest, Chad Lynd of Two Brothers. Tickets are $40 per person excluding tax and gratuity and reservations are required. The first course will feature Fried Green tomato, with tomato and onion, arugula, roasted corn vinaigrette, paired with Prairie Path. Next will be Salmon Pastrami, with charred red pepper & green onions and banana peppers paired with Domaine DuPage. The third course will feature Lamb meatballs, with spicy pomodoro, arugula lemon and grana padana paired with White Rye. Finally the dessert course will be Black cherry filled zeppole, dark chocolate and espresso paired with Red Eye.